If you think of solitary confinement as being thrown in “The Hole” for a few days in such movies as The Shawshank Redemption, Kristi Jacobson’s in-depth portrait of the Red Onion State Prison (ROSP) in southwest Virginia, is a revelation about the modern system of full-time incarceration in the over 40 supermax prisons. 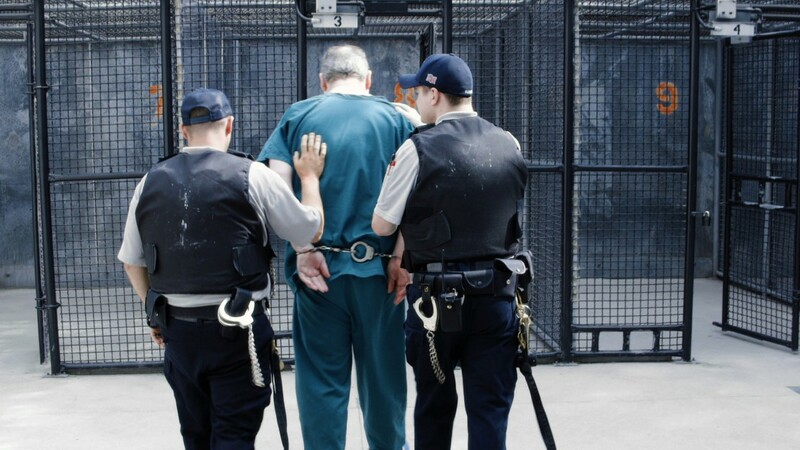 Gaining access with an ostensible goal of showcasing the reformist Administrative Segregation Step-Down Program that prepares inmates to return to the general prison population, Jacobson got unprecedented access to talk to those there, both voluntarily (staff from the warden to corrections officers and counselors) and involuntarily (those transferred from other prisons because of violent behavior). Built in 1998 amidst the isolated rural beauty of the changing seasons of the Appalachian Mountains as a major employer when the coal mines were shutting down, the facility can “restrictively house” up to 500 prisoners in 8' x 10' solitary confinement cells for 23 hours a day. Even chained in a tiny visitors’ room, the prisoners are clearly pleased to not only have someone to talk to, but also be listened to, especially I think to open up because Jacobson (a protégé of groundbreaking documentarian Barbara Kopple) is a woman and came back to the prison many times over a year. From young to old (with a mother too elderly to visit any more), white and black, they reveal childhoods of abuse to explain but don’t excuse the violent acts that first got them in prison, and the horrendous actions that they committed in prison that got them into solitary as the corrections’ system’s last resort. (The African-American prisoner, from “South Central, Los Angeles”, bitterly blames Virginia’s strict three-times-you’re-out and lengthy required sentencing guidelines for drug dealers that got him 38 years inside.) A major incentive for prisoners to participate in the work program is the opportunity to even just converse with the other participating inmates in the only communal space allowed, though the daily sounds are heard by all. Their crimes can’t help but make the audience sympathetic to the control issues the State Department of Corrections faces. But the extremity of this isolationist solution is claustrophobically apparent, including on guards, let alone on those inmates too disturbed from not being able to cope after years like this who are not functional enough for extended interviews. While there has been a lot of media angst about this country’s high rate of over-incarceration and recidivism leading to unemployment for ex-prisoners, this indelible documentary gives thoughtful consideration to the conditions of the people inside with virtually no chance to get out. Since its world premiere at the Tribeca Film Festival, Solitary will be shown on HBO later this year. Top Photo: At Red Onion State Prison. Photo Credit: Human Rights Watch Film Festival.